Is there any paperwork or document for the mechanical systems of 134 7th Line, Alnwick/Haldimand, Ontario? I need more information about the property at 134 7th Line, Alnwick/Haldimand, Ontario. How ist the neighborhood, location and nearby amenities for 134 7th Line, Alnwick/Haldimand, Ontario? I have questions about the roof, foundation, insulations and mechanical issues of 134 7th Line, Alnwick/Haldimand, Ontario? I need more information about property details. What's wrong with this house? Is this a short sale? Is there any maintenance for 134 7th Line, Alnwick/Haldimand, Ontario? What is this property worth in today's market? What are "closing costs", and how much? What steps should I take when looking for a home loan? What price home can I afford? Is my credit good enough to buy this house? What are the best mortgage options for me? How flexible is the seller on the asking price? How low can I consider offering for 134 7th Line, Alnwick/Haldimand, Ontario? Why Spend So Much Of Your Time Off During The Summer Driving? Enjoy The Cottage Life Only 27 Minutes From Cobourg On The South Shore Of Rice Lake With Approximately 50 Feet Of Water Frontage Including A Boat Dock. 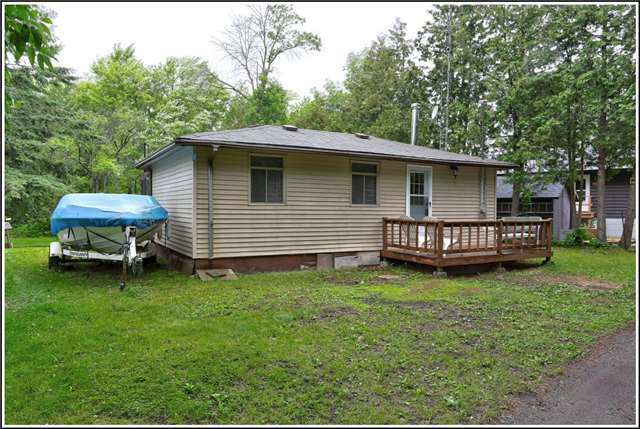 This Seasonal, 3 Bedroom, 1 Bath Cottage Has Beautiful Rice Lake Views. There Have Been Upgrades To The Kitchen, The Flooring And The Bathroom Features Upgrades That Includes An Acrylic Shower And Vanity. New Jet Pump In Well - 2018.